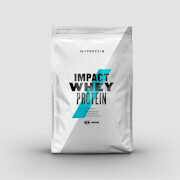 To celebrate the launch of our most explosive pre-workout ever – Mypre™ 2.0 – we’ve put together a limited edition box to give you a taste of its powerful formula, as well as unbeatable nutritionals from the new standard of protein powders – Thewhey™. These two elite products work hand-in-hand to help you maximise results – they'll support your efforts from before you start, to after you finish. Want to gift big this Christmas? The Ultimate Workout Box is the perfect way to treat any fitness lover – give them what they've been waiting for. It’s time to get that real boost of energy and focus* you’ve been looking for. 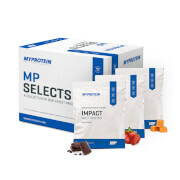 Delivering a whole host of popular and widely researched training ingredients, Mypre™ 2.0 is our powerful blend of creatine, caffeine, essential vitamins and minerals, and other scientifically proven ingredients including TeaCrine®, AstraGin™, BioPerine® and Capsimax® for the ultimate pre-workout. Following an intense workout, kick-start your muscle growth and recovery with our ultra-premium blend of the purest whey proteins. Leading the way with 25g of protein, and boasting only 2g of carbs, 1g of fat, and specially created MyZyme® – we’re setting a new standard. Plus, we’ve thrown in our classic Mixmaster shaker with a stylish black finish to make sure you’re always ready to hit the gym and recover the right way. Stocks are limited, so get yours while you can!